Submitted by Chris (not verified) on June 7, 2006 - 8:31am. Showering & shaving is not always good together. 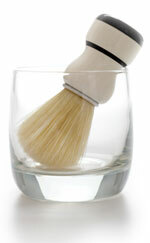 Warm water speeds up the blood circulation and you can cut yourself more easily, when your face skin is soften.